Welcome to the Rolex Day-Date history: here we will tell the story of how a legend was born. In 1956 Rolex presents one of its most successful and most popular watches ever: the DAY-DATE, the first chronometer wristwatch which is selfwinding, waterproof and comprehensively indicates the date and the day of the week. 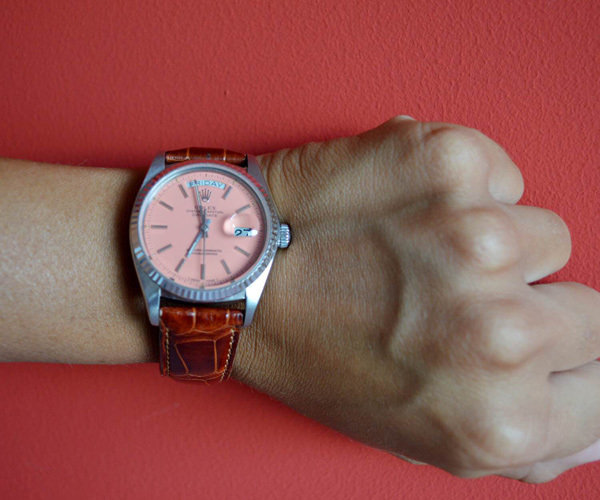 The Day-Date represented a worldwide innovation: it was the first watch to indicate the date in the three o’clock position, and the day of the week in the 12 o’clock position. 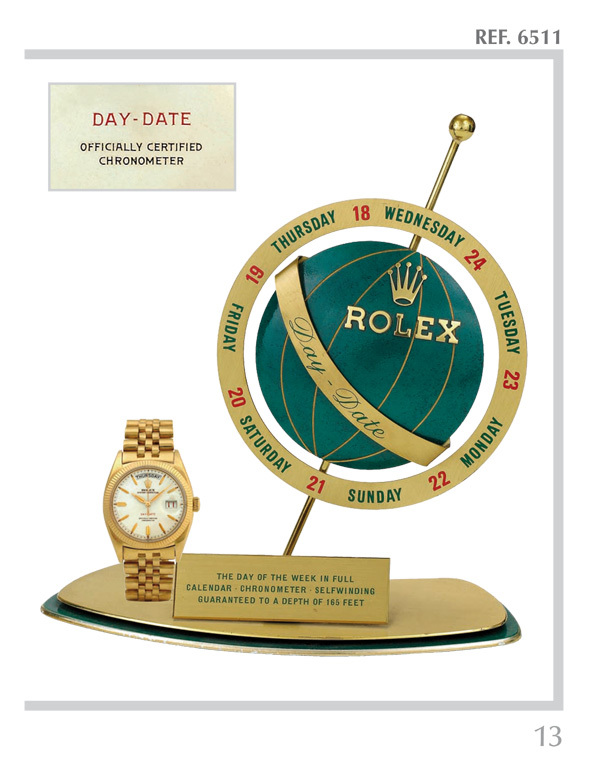 We can read in a 1963 Rolex catalogue that the calendar existed in eleven languages, in a Rolex leaflet in 1979 in 24, whilst in 1985 in 25 different languages. Today Rolex presents the calendar in 26 languages. The President bracelet was specifically studied for this model: a bracelet with rounded three-piece links, created in 1956 in the occasion of the launch of the Oyster Perpetual Day-Date, and realized only in 18 carat gold and in platinum. 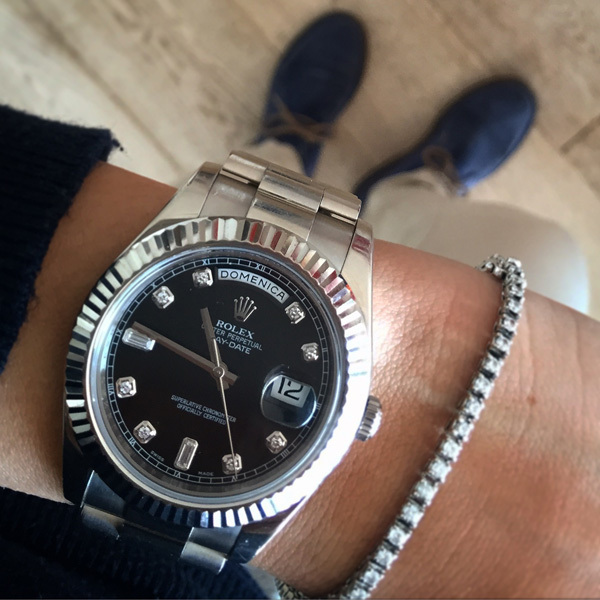 The first versions of the Rolex Day-Date launched on the international market were the references 6510 and 6511. Both references have the caliber 1055. The references 6510 and 6511 remained in production only for a year and were substituted by the refs. 6611, 6612 and 6613. They had the caliber 1055 with the new balance wheel with Microstella regulating screws. This modification to the caliber enabled the new references to obtain the certification from the Swiss Office of Chronometer Control (C.O.S.C). In 1961 the ref. 1803 appears in the Rolex catalogues, together with the references 1804 and 1806. It is necessary to wait until 1963 for the references 1802 and 1807 and until 1966 for the last Rolex Day-Date of the series 1800: the ref. 1811. 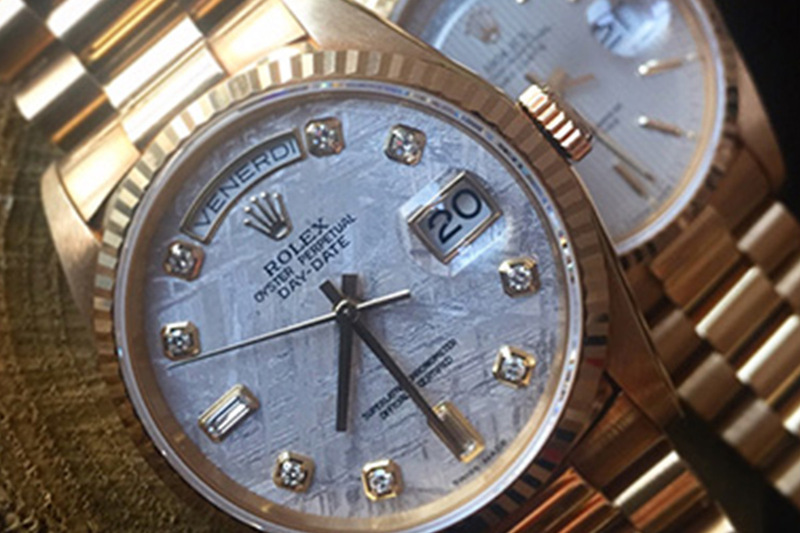 In 1988 Rolex creates the caliber 3155, which will accompany both the series 18200 and 18300 – many references of these series will be created in the following years. Rolex presents the DAY-DATE II at Basleworld 2008, with a majestic 41 mm Oyster case made exclusively in platinum 950 or 18 ct gold and waterproof until. 100 meters. 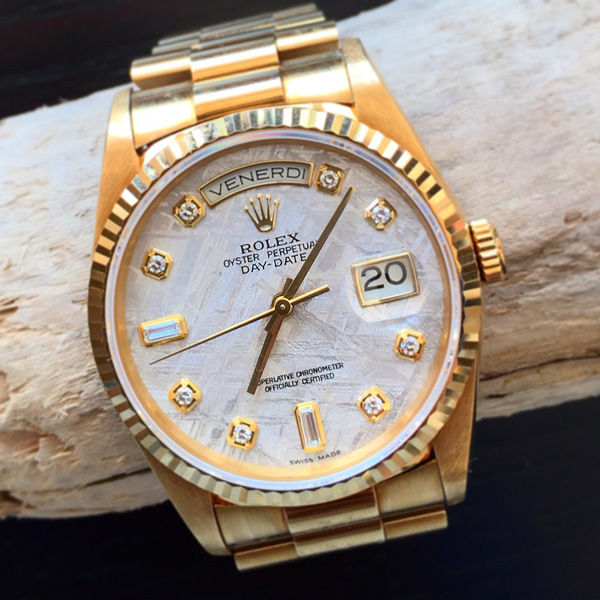 The Day-Date II presents numerous technical innovations developed by Rolex over the last few years. 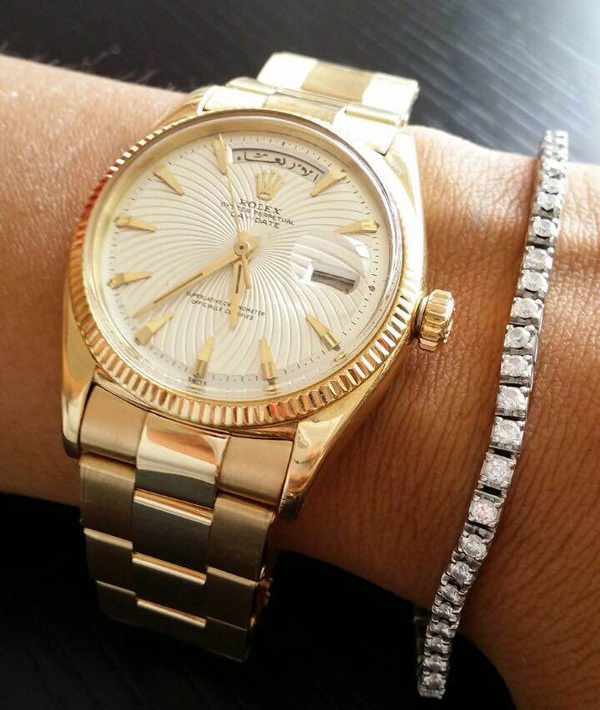 The Rolex Day-Date model is also known as “PRESIDENT WATCH”, as it has become the preferred watch of many Heads of State from all around the world and of many “illustrious people” from the 20th and 21st centuries.